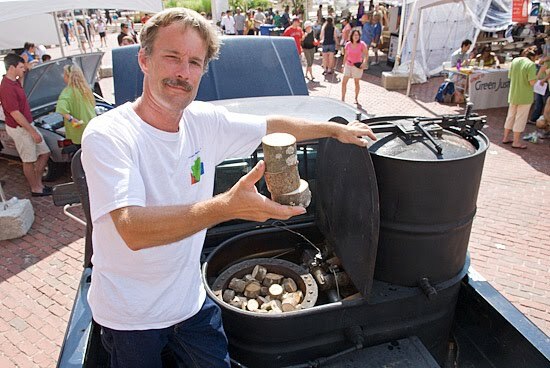 Standing by the gasification system on the bed of his modified Ford F150 pickup, Dave Nichols holds roughly 1 pound of biomass (wood) that can power the truck about two miles. I caught up with Mr. Nichols at Greenfest 2009 in Boston, Massachusetts. 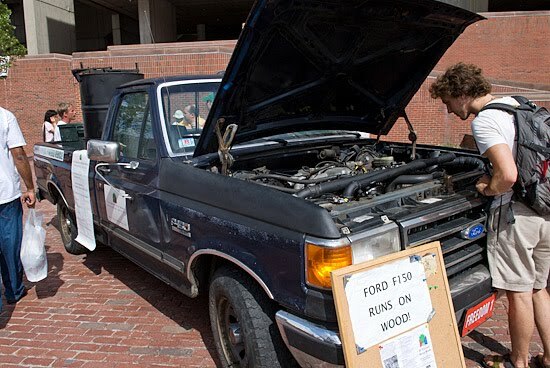 He had driven his truck from Greenfield, Massachusetts to Boston in the One Gallon Challenge. Creators of energy efficient cars essayed to drive the 100 mile journey on less than a gallon of gasoline. Mr. Nichols starts a fire in his system with a blow torch. Once the temperature in the "reactor" reaches 2,200 degrees, the wood no longer burns, but "vaporizes itself." 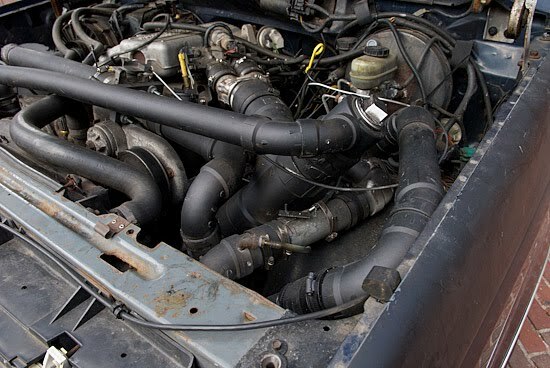 The resulting gaseous fuel cools to 140 degrees in a heat exchanger before flowing into the modified engine. 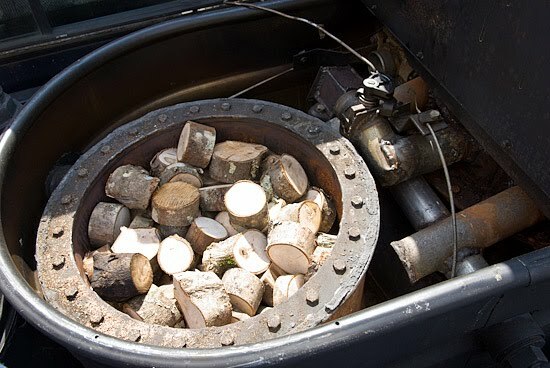 This biomass gasification process was developed in the 1800s and used during WWII to make up for a lack of petroleum fuel. The process is carbon neutral, says Mr. Nichols. The only emissions are carbon dioxide, water and a small about of mineral ash. He is a contractor and believes the technology could also be used to fuel construction machines with construction debris. 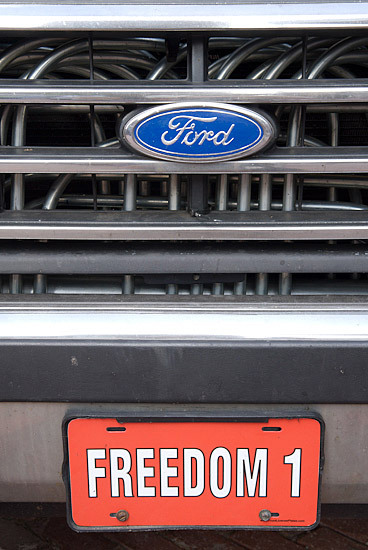 At the end of the day, Mr. Nichols heats and electrifies his Killingly, Connecticut home with the system on his truck. You can support his clean fuel efforts by asking Congress to allocate funds for his ongoing research and development.